GenerEOS are happy to announce that we are supporting BankofStaked by committing our own EOS tokens, along with 22 other well known Block Producers. 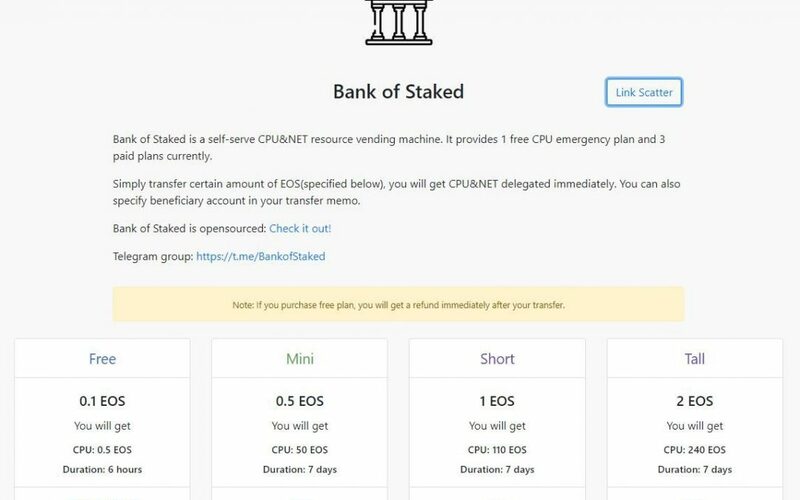 BankofStaked was developed by EOSLaoMao as a CPU & NET resource vending machine that is a solution for quickly acquiring EOS resources seamlessly with an auto release mechanism built in. With the current support from BPs, there is enough allocation to create a free CPU emergency plan for over 20,000 users. This is a great tool for the community and we are happy to support it!